Lock in a great price for Riverside View Park Resort – rated 8.1 by recent guests! 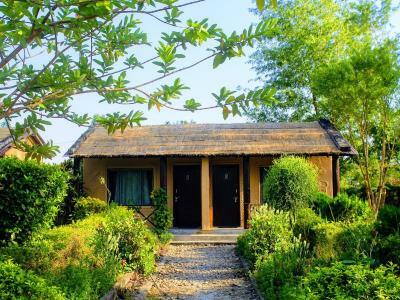 Riverside View Park resort is a beautiful cozy place tucked away in the heart of Bardia forest. The owner and his family are very hospitable and friendly people. Mr. Anil is very calm and accommodating guide and knows many languages. It's a great place to witness nature and wildlife. The rooms are clean and comfortable. The chef's specialty is traditional Nepali food. Very nice eco-friendly natural environment and warm hospitality. Lovely cottages in a green calm environment just outside the little village. Owners will come to pick you up at bus stop. They are friendly and helpful to arrange your park entrance and tour.100%raccomanded. The place is perfect value for money. The food was good and made to customisation. The staff is courteous and helpful. The location is very good. 10 minutes walk from the riverside and from the National park entrance. Also, the resort is very peaceful and a very good place for people who love the calm. A perfect place to stargaze while sitting around the bonfire. It's a very peaceful place with a beautiful garden. 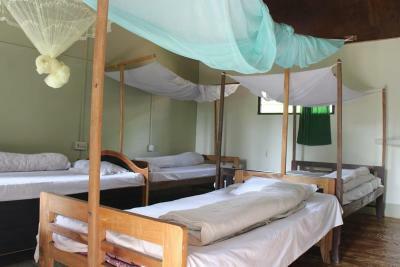 The cottages have a fan and musquito net, which are very useful during the hot weather. The family was very hospitable and Anil was also a great guide during our walking safari. They even provided our pick up from Ambasa and drop off for the bus from Thakurdwara. I would recommend this place! They were very friendly and easy going despite the fact that we were in the wild jungle. Awesome location.Really quiet and relaxing place. Helpful and friendly family. Hot shower. Natur pur, große Hütte, schöne Gartenanlage - wie auf den Bilder. Gute landestypische Küche - gerne wieder! Accueil plus que top! Lieu paradisiaque pour des plaisirs simples! Un hôte plus que chaleureux superbe générosité! N'hésitez pas vraiment il mérite d'être soutenu dans sa démarche de préservation de cette zone du Népal! 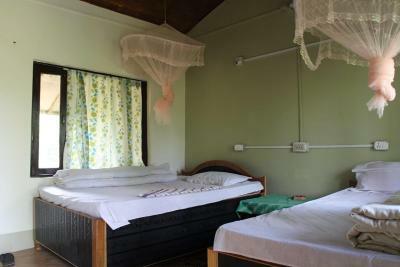 Riverside View Park Resort is located in Bardiya and features a garden and bar. All rooms come with a terrace with a garden view. At the resort, rooms come with a balcony. Featuring a private bathroom with free toiletries, rooms at Riverside View Park Resort also feature free WiFi, while selected rooms also feature a lake view. 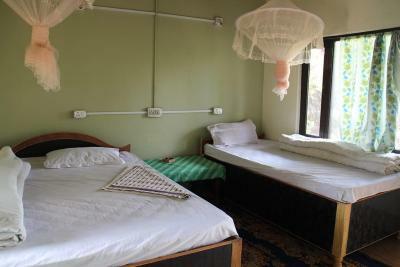 The rooms at the accommodations are equipped with a seating area. Riverside View Park Resort can conveniently provide information at the reception to help guests to get around the area. When would you like to stay at Riverside View Park Resort? This single room features a balcony, tea/coffee maker and seating area. House Rules Riverside View Park Resort takes special requests – add in the next step! Internal finishing for Rest Rooms. The washroom was not good. The fixtures were broken. There was not hot water in the wash-basin. The curtains in the room were short and weren't covering the full window. The mattress and pillows weren't very comfortable. The drive reaching the location might be difficult/bumpy for the less adventurous. To enjoy your stay avoid the bus drive from Kathmandu to Nepalgunj and take the flight instead. Also, avoid summer months as the weather rises a lot. But do note that summer months are the best to spot wildlife along the river. When during powercuts the fan stopped working, immediately it became very hot in the room. Long waiting time for average food.